Earn Monthly Dividends Simply For Being Our Client! 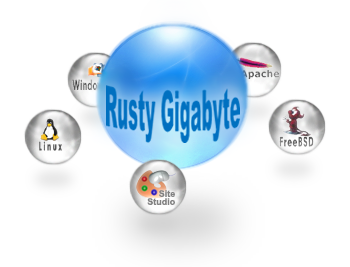 Rust Gigabyte now offers entry level hosting packages on our Highly Secure State-Of-The-Art Server Grid. Whether you have a small foot print or need unlimited resources, we’ve got you covered! What if you could find the perfect hosting service? Guaranteed your server would never go down? FeaturedProvided virtually unlimited room for you to grow your business? Help you migrate from your existing cheap hosting reseller? Be there around the clock, whether it was on the phone, email or Help Desk? ur services are geared toward IT professionals such as Web Developers, Graphic Designers, Network and Computer Consultants, Application Service Providers, and Internet Marketers. Our growth has been due to the growth of our partners around the world. Frankly, we understand the importance of building strong relationships with our clients in both global and local markets, that’s why we’ve created a high quality and comprehensive set of services allowing you to use multiple platforms and solutions across your entire customer base. Our services can be clearly differentiated from our competitors because we are your “one stop shop” for high quality IT and eBusiness services. You will be in good company since your websites will be in the same data center as major private and public organizations, such as The U.S. State Department, One Beacon Insurance, The Salvation Army, Burton Snowboards, and many other Enterprise level clients. ur servers are located at the Hosted Solutions Facility, in Boston, MA. , the “crown jewel” of East Coast Data Centers. Our network features 100% network uptime guarantee, multiple OC-12 connections, and “Hyper Redundancy” at all levels. We use high-end rack-mountable servers with SCSI drives and redundant RAID arrays, so you never have downtime in the case of a hard drive failure. hile other hosts talk about security, we have actually made the heavy investments required for enterprise level security for all accounts. We not only keep our software and systems completely up-to-date and monitor our servers 24×7, we also manually “harden” each server and OS that we use and employ custom hardware firewalls with stateful packet inspection. Top Layer is the Worlds Leading Anti Denial of Service (DoS) Technology. We have also invested in the first proven denial-of-service attack prevention system, the Top Layer Technologies Attack Mitigator IPS 5500, which protects our entire server farm. The Attack Mitigator IPS 5500 is the world’s only network Intrusion Prevention System to provide Non-Stop Protection against both network-level and application-level attacks. Non-Stop Protection means that 100% of legitimate transactions reach their destination with no discernable impact on network latency even when under load or attack – The Attack Mitigator IPS 5500 is the only network Intrusion Prevention System product with this capability. f you’ve ever hosted with some of the “mega” hosting companies, we bet you’re tired of being treated like a number, waiting days to hear back from Tech Support. Sound familiar? If so, you’ll be delighted when you can actually get personalized and courteous help from us promptly, by email or on the phone. At Rusty Gigabyte, we practice “proactive” support and monitor our servers 24 hours per day, 7 days per week so we can head off any problems before they occur. But when you do need help with an issue, or simply have questions, you can reach us any time of the day or night — we’re always here!